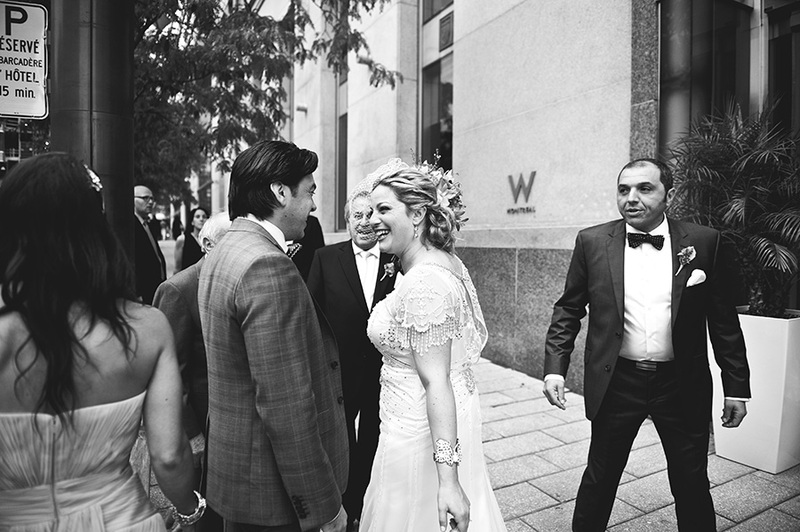 Toronto groom sees his Montreal bride for the first time that day. 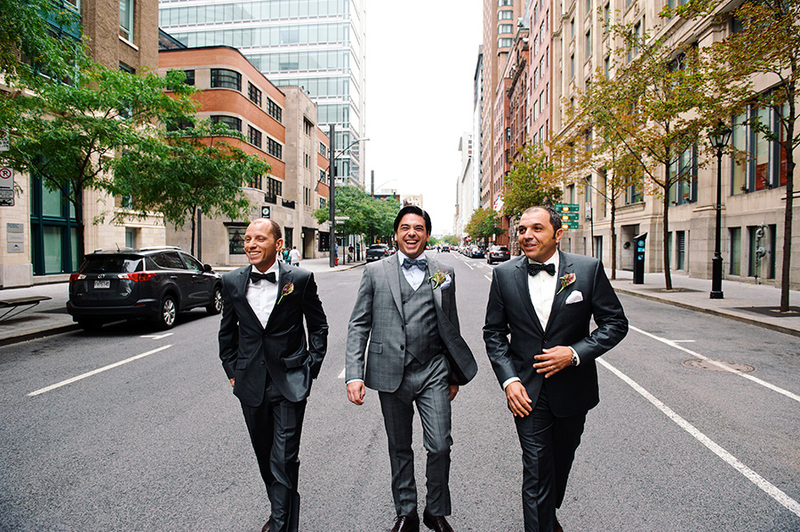 Maurizio walks towards the W Hotel on rue Saint Antoine, flanked by his best men. 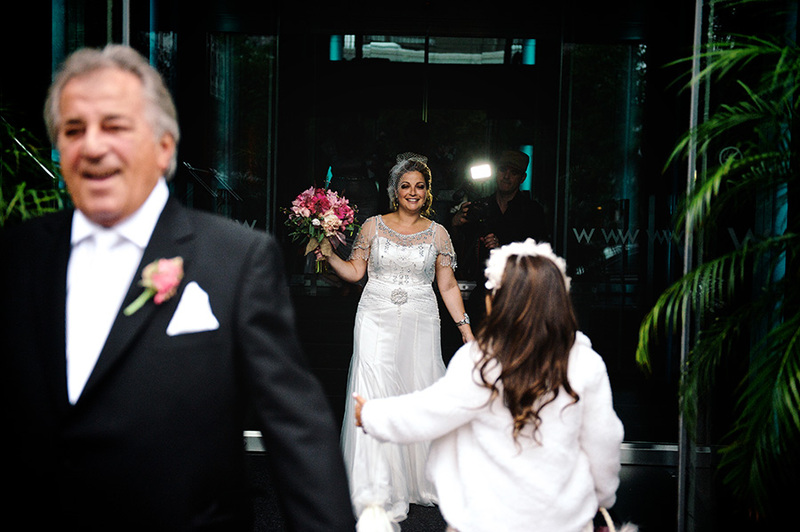 While waiting outside he is spotted but the eagle eyed flower girl, who is just as excited as bride Vicki. This little rendezvous is becoming a huge ritual with many couples and I think its great! 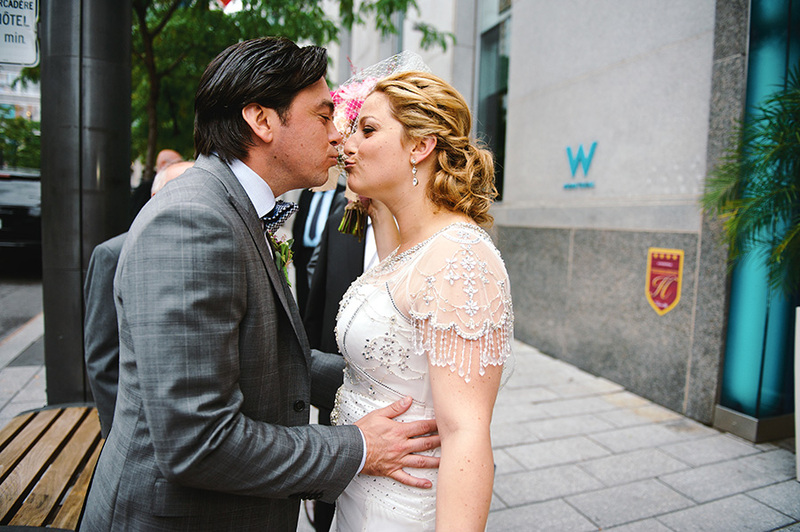 Beautiful ceremony at Notre Dame Basilica's chapel and celebration at The Belvedere in the old port.